For over thirty years Gorrie-Regan has been a leader in providing badges and badge making equipment for a wide variety of clients. The most basic use of an ID badge is to visually identify the person holding it and discern his/her role. In addition, ID badges may be enabled with various forms of technology to allow additional functionality. A security badge may allow certain personnel to access specific parts of a building or parking lot. A time badge can be used to record in/out punches for an employee. A visitor badge allows an organization to quickly identify a visitor. An ID badge has a photo which allows someone to easily verify that the badge belongs to the holder or a combination of the above can be made. 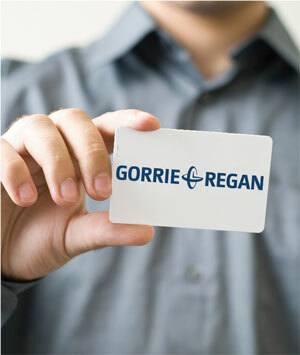 Gorrie-Regan can help from start to finish with an employee ID program. Consultative sales representatives will work directly with your company to determine the best fit for you. Whether it is a simple ID card printer or a more robust solution to enhance your employee and manager experience, we can help. There are a couple badge printing options available and you can select one that best suits your organization. This will give you the ability to create a badge the same moment a need arises. Gorrie-Regan will provide you with all of the quality materials needed to design and print your badges at your convenience. Materials include badges, badge printers and badge making software. Gorrie-Regan’s trained specialist will custom design your company’s ID badges and print them on our commercial grade printer and mail them directly to your office. Our sales specialists will work with you to determine the solution that best fits your needs.